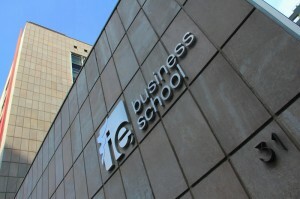 IE Business School - International MBA | Join us in Madrid for an Open Day on Friday, November 28th! Join us in Madrid for an Open Day on Friday, November 28th! IE Business School is opening its doors to all candidates interested in the International MBA program. The event will take place on Friday, November 28th in Madrid (c/ María de Molina 31) and will include a master class, a soft skills workshop, a campus tour and a networking cocktail lunch with current International MBA students and IE Business school staff. During the Open Day you will also learn more about IE and the International MBA program, find out about financing and placement opportunities. Please click here to register for the event and don’t hesitate to contact us at imba.admissions@ie.edu with any questions.